The video game industry is booming and is expected to generate close to $140 billion by the end of 2018. As such, you will continue to witness new content, accessories, and peripherals thanks to the ever-expanding technology. 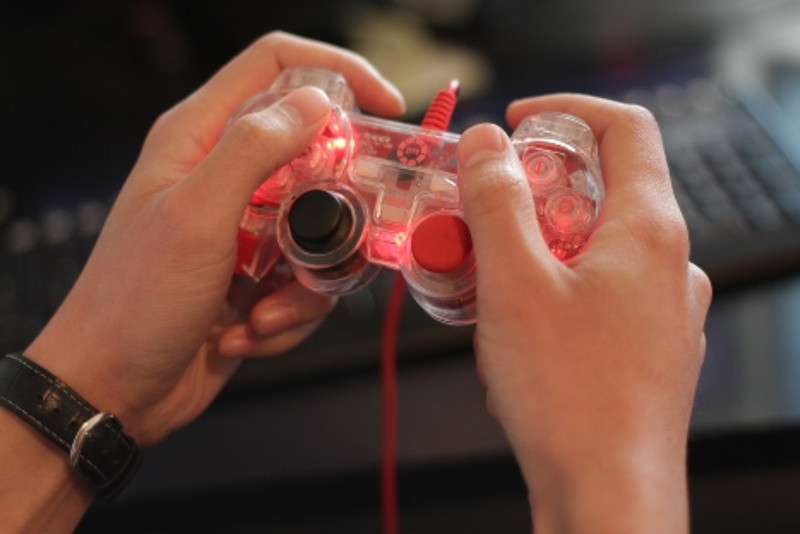 Every player wants a good gaming experience characterized by enjoyment, entertainment, and satisfaction for every game that is played but that can significantly be hampered if the right accessories are not used. When gaming on your PC, accessories like a gaming keyboard, mouse and keypad are integral in the interaction of your game. Sometimes, the problem is not about finding the best keyboard, mouse or keypad but deciding on which one among them is the best for an excellent gaming experience. To find out, it is necessary to see what each one of them has to offer. A keyboard and mouse are the primary and most commonly used devices for the interaction of PC games. If given a choice, you may choose one over the other depending on the one that you are comfortable with. Both of them have significantly evolved over the years, although not equally, with the mouse being more adapted as a formidable gaming device. Keyboards have seen enticing modifications like macro buttons, backlighting, programmable keys, great designs and wireless capabilities among other good features. Despite these tech improvements, many players still view it as simply a combination of several keys that are optimized for word typing and not virtual navigation. It may be a peripheral with the most inputs, but those inputs, especially in an ordinary keyboard, are simplistic and binary which may be suitable for strategy and FPS games but not for racing and stealth games. However, it is good that you can always anchor your keyboard to the mouse for more actions and the extra features like macro keys, volume control and so on continue to position them as indispensable gaming accessories. The gaming keyboard may be incredibly cool and better than ever, but many gamers are yet to experience greater differences between the old and new keyboards. This is why mini-keyboards commonly referred to as gaming keypads were designed to maximize gaming experiences. So, why should you use a gaming keypad? Unlike the traditional keyboard, a gaming keypad is not bulky given its reduced size. This means more desktop space while gaming and the ability to rest it in your lap for a manageable gaming experience. With the ergonomic design of keypads, you will experience comfortable gaming without the fatigue and hand injury that come with using a keyboard. Keypad buttons are also easily accessible to the fingertips, and this reduces fatigue since you do not need to move your entire hand. Despite their compact sizes, gaming keypads are equipped with a good number of extras, including macro buttons, volume control, quick keys as well as USB and headset ports. The gaming keypad is designed for quality with fewer keys that are not only customizable but also well laid out and placed within reach. For this reason, games that are played with a keyboard are better played with a gaming keypad. The main weakness of the gaming keypad is the limited number of keys which makes it hard to play games that require a big number of hotkeys like strategy games. However, this can be overcomed by using keypads with the multi-keyset feature or simply using your gaming keypad with a power mouse. Unlike the keyboard, the mouse has greatly evolved from the initial rolling ball through the optical sensor and now the laser sensor. This has given it increased sensitivity and accuracy that is required in a gaming environment. Besides, the mouse is no longer limited to two buttons but up to seventeen programmable buttons, which only means that there is more that you can do with your gaming mouse. Genres that are the mainstay of the PC gaming world like the FPS and the strategy games rely on the mouse for its unparalleled pointing abilities. It caters for a wide variety of movements whether it is creeping, jutting or angular, hence you can incorporate a complex network of movements precisely using your fingertips. It is true that no single mouse is universally good because the shapes of the hand and the way people handle it is different. For comfort, you need to choose a mouse that goes well with your grip type which can either be a palm, tip or claw. You also need to consider the buttons and whether it is wired or not. For the absolute gaming experience, you may need to consider using the power mouse which has many benefits compared to an ordinary one. It has at least 15 buttons, better reaction time in games and increases the level of immersion into the game because of the absence of the keyboard. The speed of a mouse is unlimited, and it is slow and fast as your arm can be. As a result, it is excellent at controlling the direction of a character but leave the actual movement for the keyboard to handle. The decision on whether to use a gaming keyboard, mouse or keypad depends on the PC games that you enjoy playing. A gaming keyboard has most inputs and is good for games that require a generous number of commands and hotkeys, precision aiming and those that handle macros. The keyboard’s smarter little brother, the gaming keypad, may have a limited number of keys but it is designed specifically for quality gaming. For every game that is played using a keyboard, the gaming keypad does it better since it is customizable, faster and more comfortable to play with. The gaming mouse is an accessory that has greatly evolved, and like a Swiss army knife, you can comfortably reach its many keys without having to take your left hand off the WASD. It has also taken sensitivity and accuracy in the game environment to a whole new level. Each one of the devices has its strengths and weaknesses, and you should choose depending on your preferences.